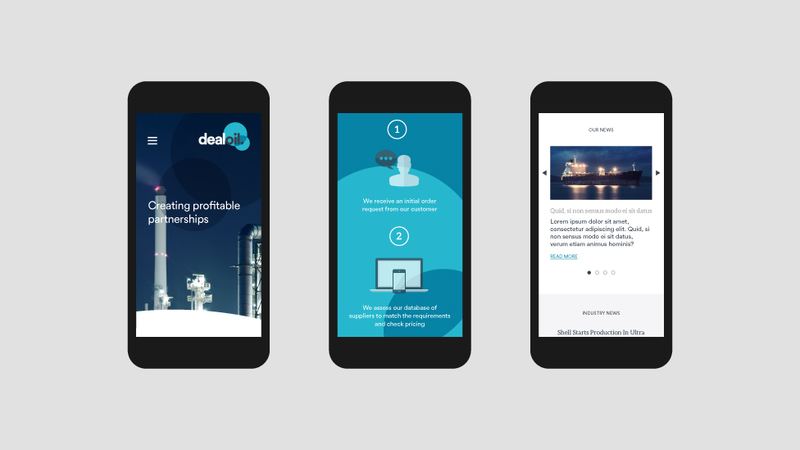 B2B website development that helped a young company break into the energy market by inspiring trust. 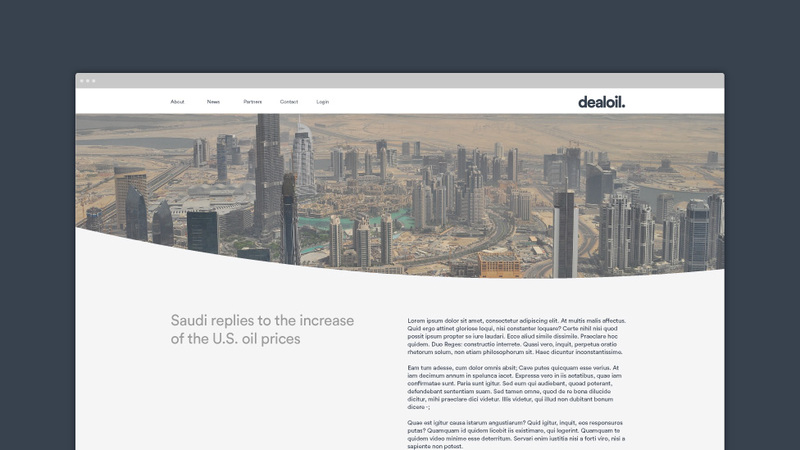 Dealoil, an independent oil and derivatives brokerage company, likes to do things differently. They have a fresh approach to business: forging long-lasting relationships with clients and suppliers. This helps them stand out against their competitors, in a sector largely dominated by tradition. 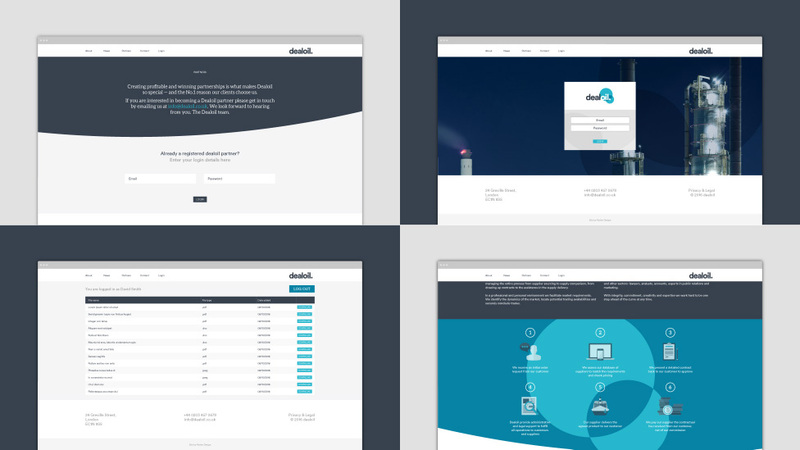 After developing their brand, our client asked us to help them with their B2B website development. The website had to seamlessly combine traditionally opposed concepts, by presenting a young and innovative company as one that inspires trust by offering quality and reliability. We organised workshops with our client to determine the best approach. The combination of great typography, beautiful imagery and infographics tells a different story and communicates a message of confidence. We applied subtle animation to a few strong images, which keeps viewers interested and gives the website a really unique and modern feel. The imagery zooms and pans with each key message, paired with a typing animation that evokes our client’s very personal approach. The large banner has a parallax effect when users scroll through it. A seamless first impression that feels like our client is communicating directly with their audience, enticing them to find out more. We also designed an animated icon-led section to explain our client’s process step by step. The website automatically collects and imports the latest industry news making the homepage appear fresh every day and positioning our client as an expert in their sector. The website also features a Content Management System (CMS) so that our client can update it quickly and easily, including written content and images. 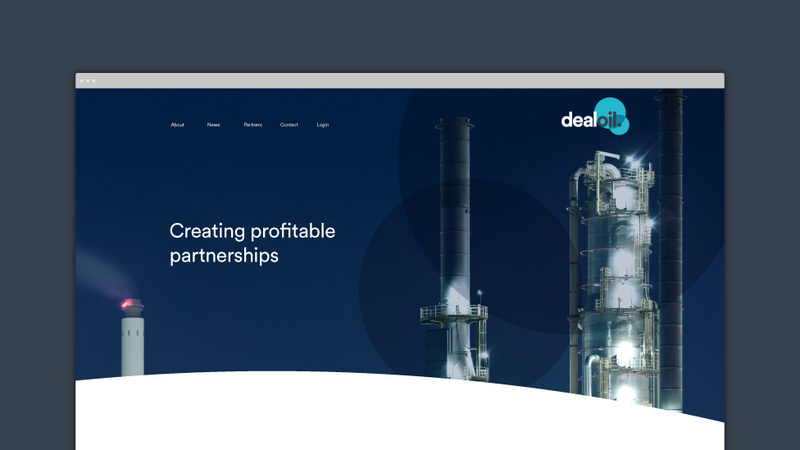 A client login section allows Dealoil to share reports and contracts with their clients in a secure environment. Feedback from our clients was fantastic. They asked for B2B website design and development to match their unique style, and that’s exactly what we created for them. The Caja Group asked Parker Design to create a B2B web design that was both user-friendly and would help establish the company's niche consultancy brand.